GRAND AUDITION was founded in 2016 by David and Daria Makhateli, directors of the D&D Art Productions. It is the first and only international ballet company audition project which helps young professional ballet dancers and graduate students to demonstrate their skills in front of several artistic directors of the world's leading ballet companies. We are pleased to anounce that 3rd edition of "GRAND AUDITION" will be held on 6-7 February 2018 in Teatre-Auditori Sant Cugat, Barcelona. Grand Audition is for professional dancers and graduate students between the age of 17 -to 26. Our aim is to give professional dancers and graduate students the opportunity to plan their futures and to find their home company. It provides a unique opportunity for dancers to audition for several ballet companies at one time and in one place. D&D Intensive Ballet Masterclass will be held for the second time in Barcelona from 17th to 27th of July 2017. We are extremely excited and looking forward to see you soon. As always, spaces are limited and we encourage you to register early. This years faculty members include: Ludmila Kovaleva (Professor of the Vaganova Academy of Russian Ballet, St.Petersburg), Grigori Chicherin (Professor of the Het National Ballet Academy, Amsterdam), Natalia Hoffmann (Professor of the Ballet Academy of the University of Music and Performing Arts, Munich), Brian Maloney (Pedagogue of the Royal Ballet, London), Daria Makhateli (Prima Ballerina Finnish National Ballet, Soloist Mariinsky Theatre, International Guest Principal Ballerina), David Makhateli (Former Principal Dancer of the Royal Ballet, founder of the Grand Audition, director of D&D Art Productions). Second edition of the Grand Audition was held in Barcelona on February 7-8 2017. Dance & Dancers ART PRODUCTIONS will be holding GRAND AUDITION for professional dancers and graduate students from 17 – 25years of age,on Tuesday 7th and Wednesday 8th of February 2017 at the Teatre-Auditori Sant Cugat in Barcelona, Spain. GRAND AUDITION aims to give professional dancers and graduate students the opportunity to plan their futures and to find their home company. It provides a unique opportunity for dancers to audition for multiple ballet companies at one time and in one place. D&D has invited Artistic Directors from world leading ballet companies to come together at GRAND AUDITION, where they will observe all the participants in a ballet class on the day one. Selected dancers will be asked to perform prepared variations on the second day. If a dancer meets the criteria and standards required by one of the artistic directors, he/she will be offered a place within that ballet company. Dancers from top ballet companies such as Royal Ballet of London, Paris Opera, Hamburg Ballet, Berlin Staatsballet and English National Ballet shared the stage once again, presenting extracts from the classical and contemporary ballet repertoire. It is always difficult to gather such a cast of artists for more than one day due to their commitments with respective ballet companies. As such, it was an exceptional opportunity to see the talent of these dancers in Brussels. Nuit des Etoiles was the opportunity to experience unique moments of emotion with exceptional artists. The Grand Audition 2016 was a great success. 123 candidates took part in this event and 8 ballet companies were represented in Grand Audition in Brussels on Sunday 7th February. 56 candidates passed to 2nd round and 27 candidates got job offers from all 9 companies, 3 received Soloist positions. With Grand Audition, we are contributing to a better and more efficient way of recruitment for ballet companies. For young dancers, Grand Audition offers an exceptional opportunity to demonstrate their talent in front of Artistic Directors for a fraction of the cost of individual auditions. We are excited to announce our Brussels "Summer Intensive Masterclass" will be held from 11th to 21st of July, 2016. We are open for registration of our Summer Masterclass Program!!! To celebrate the 5-year anniversary of D&D Art Productions, we are offering exceptional conditions for students registering before the end of March 2016. Register early to avoid disappointment. From 8th to 18th of July, D&D is holding it's 2nd year of the Summer Intensife program in Brussels for the students aged between 12 to 19 years old with the worlds best ballet professors. This year ballet faculty includes: David Makhateli (Former Royal Ballet Principal Dancer, London), Ludmila Kovaleva (Professor of A.Vaganova Russian Ballet Academy, St.Petersburg), Grigory Chicherin (Professor, Het National Ballet School, Amsterdam and international guest teacher) and Daria Makhateli (Principal Dancer of the Finnish National Ballet). 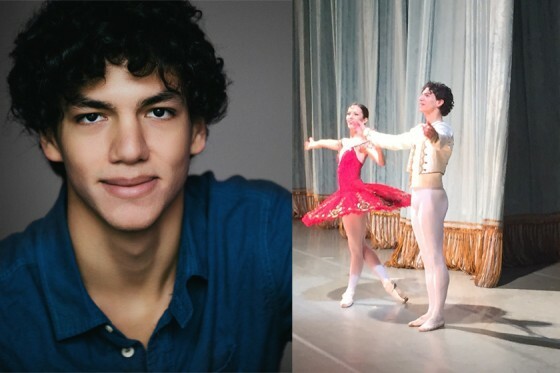 D&D Art Productions, in cooperation with Mariinsky Theatre, has contributed in managing of several International Stars at the prestigious XV Mariinsky International Ballet Festival.This year's guest stars included Isaac Hernandez representing Dutch National Ballet. In addition, Stars from the Paris Opera and Bolshoi Theatre took part in this festival. 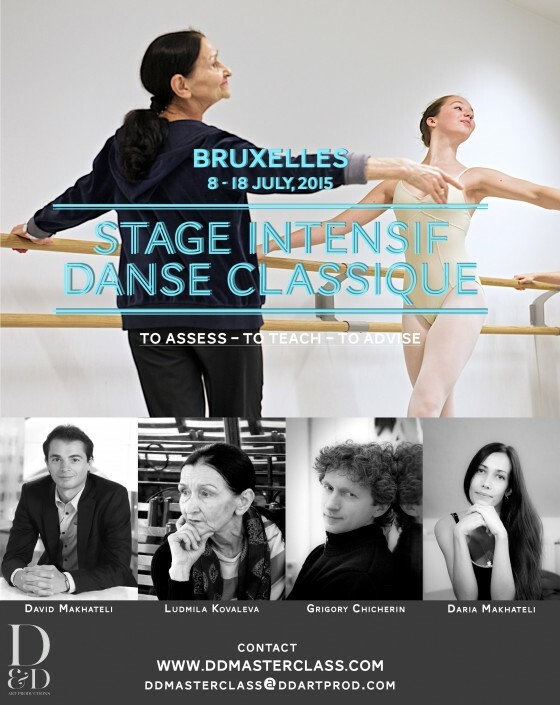 For the second year, from 8th to 18th of July 2015, D&D Art Productions organises a unique masterclass in Brussels : the “Stage intensif de danse classique”. On 22 March 2014, Brussels will become, for a night, the centre of attention of the dance world with the second edition of La Nuit des Etoiles at the Cirque Royal, a gala gathering world stars of ballet. The two-day gala organised by D&D Art Productions for the celebration of the 75th anniversary of Rudolf Nureyev's birthday was an exceptional tribute with 28 amazing dancers from 9 different ballet companies gathered on 31 May and 1st June at the Palais des Congrès in Paris. The press and the public were unanimous in their great reviews of the shows. Nureyev & Friends is a further evidence of D&D ability to organise great dance events with the best dancers. The event has been filmed in high definition and will be in cinemas worldwide later on this year. In support for "Hospices of Hope" We are kindly asking for your help in fundraising for the Bucharest Hospice Appeal. Book your tickets, believe me you can make the difference in many peoples life's!!! Our good friend Alina Cojocaru launched the fundraising for the Bucharest Hospice Appeal through her first gala for Hospices of Hope in May 2008, which was a sell-out performance. We are delighted that Alina has now offered to provide us with another unique evening as we approach the completion of this project. An evening of artists celebrating the past, present and the future, with highlights from the classical repertoire alongside new or rarely seen pieces including choreography by Marius Petipa, John Neumeier, Tim Rushton, Eric Gauthier, Johan Kobborg and others. Among the internationally renowned dancers joining Alina will be English National Ballet Principals Daria Klimentova and Vadim Muntagirov; Steven McRae, Johan Kobborg, Frankie Hayward, Marcelino Sambe and James Hay from The Royal Ballet; Thiago Bordin from the Hamburg Ballet; Xander Parish from the Mariinsky Ballet and violin virtuoso Charlie Siem will also take to the stage. The orchestra for this spectacular evening of entertainment will be another old friend of Hospices of Hope, Manning Camerata. The complete roster of dancers, choreographers and musicians is in formation and will be announced shortly. Alina recently travelled to Bucharest to see the progress of the Hospice of Hope building site as well as the future residents of this hospice. Alina also visited The National Ballet School of Romania, and is pleased that some of the students will perform in a fragment from Johan Kobborg's Salute, which will be a UK premiere. To reflect the unique nature of this evening, a limited number of exclusive individual and corporate VIP packages available. All proceeds from this event will go towards the Bucharest Hospice Appeal and everybody involved has donated their time free of charge or at greatly reduced cost. "Nureyev & Friends" is a ballet gala celebrating the 75th anniversary of the birth of Rudolf Nureyev, one of the world’s most exceptional dancers. 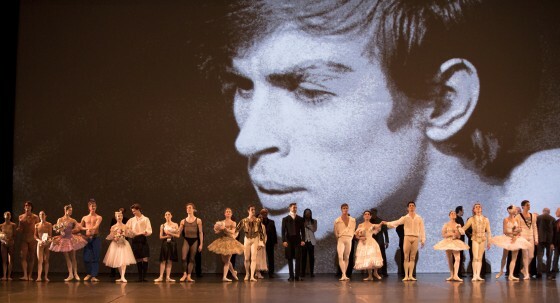 Under the patronage of the Rudolf Nureyev Foundation, the show offers a journey through the life of this extraordinary man: Rudolf, the dancer; Rudolf, the choreographer; and Rudolf, the Director of the Ballet de l'Opéra National de Paris. Dance obviously but also archives images and testimonies illustrating the immense contribution of Rudolf Nureyev to dance and his impact on dancers who had the chance to work with him. D&D is the producer of this exceptional event taking place at the Palais des Congrès de Paris on 31st May and 1st June 2013. After the huge success of the gala "Meet the Stars" in Athens (Greece), D&D Art Productions is pleased to present another gala on 23 March 2013 at the Cirque Royal in Brussels. The program will consist of choreographic masterpieces, Pas-de-Deux and Solos excerpts from the major classical and neo-classical repertoire. If you love dance or you would like to discover dance, the ‘Nuit des Etoiles’ is the opportunity to live unique moments of emotion with exceptional artists. 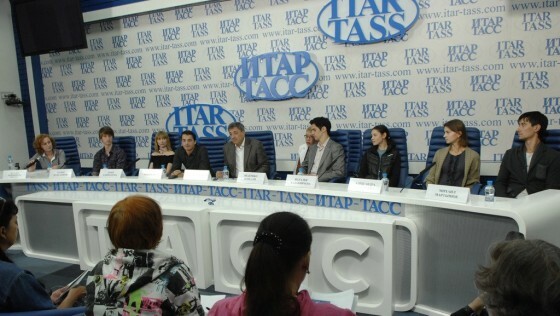 MOSCOW, August 27, 2012 - RIA Novosti. The new season of the Kremlin Ballet, led by the People's Artist of Russia Andrei Petrov, will open on Tuesday with Swan Lake at the Kremlin State Palace. "We open the 23rd season of the Kremlin International Festival of Ballet Stars with world stars: the soloists of the English National Ballet - Daria Klementova and Vadim Muntagirov" said at a press conference on Monday, the artistic director Andrei Petrov. The D&D agency, Dance & Dancers, with David Makhateli of the Royal Ballet and Denis Autier, supports the organisation of the International Festival of Ballet Stars. Makhateli told reporters that the project was born in London during a discussion with Andrei Petrov: "The first experience of the Festival was in Greece, after which we decided to present the concept in Moscow." The second representation is "Romeo and Juliet" with Federico Bonelli, a Principal with the Royal Ballet of London : "Many times I have danced the ballet, but I willl do it for the first time with the choreography by Yuri Grigorovich", says Bonelli. "For me, it is very important, it is a chance to learn about the approach of the Russian school. It is also a unique experience for a dancer to dance on a stage as big as the Kremlin Palace and I am honored to have the opportunity to dance for you here". During one month, the stage of the Kremlin Palace will host the stars of the Royal Ballet of London, the English National Ballet, Berlin Staatsballet and the Mariinsky Theatre with six ballets on the program: "Swan Lake", "Romeo and Juliet", "Don Quixote", "Sleeping Beauty", "Giselle" and "Le Corsaire". D&D Art Productions, in partnership with ELVA Events, is pleased to present DIANA VISHNEVA in "DIALOGUES" with the cooperation of the Diana Vishneva Foundation and Ardani Artists. D&D partner, David Makhateli, was dancing Siegfried with the Kremlin Ballet in Moscow on 15 May 2012 for Swan Lake with Aleksandra Timofeeva. A superb performance which ended up with a standing ovation of the public at the Kermlin Palace, situated in the heart of the Kremlin historic site. D&D is the co-organiser of the Gala World Stars of Ballet in Manila on 8-9 June 2012. We have arranged a great cast for this great event: American Ballet Theatre’s Paloma Herrera and Maxim Beloserkovsky, The Royal Ballet’s David Makhateli, Mariinsky Theatre’s Daria Pavlenko and Yevgeny Ivanchenko, English National Ballet’s Dmitri Gruzdev, Kremlin Ballet’s Aleksandra Timofeeva, Norwegian National Ballet’s Yoel Carreno and Yolanda Correa Frias, and the Philippines' own Lisa Macuja-Elizalde and Ballet Manila.